Elderly people with low cholesterol are twice as likely to die from a heart attack as those with high cholesterol according to a 1994 study done by the Department of Cardiovascular Medicine at Yale University. Further, nearly every other study done on high cholesterol levels has found that it doesn’t lead to an increased risk of heart disease in women whatsoever. A study done by the UCLA Department of Medicine and Cardiomyopathy Center in Los Angeles followed over 1000 patients with severe heart failure for five years. The study found that 62% of patients with total cholesterol below 129mg/dL died within that five-year period. The mortality rate for patients with total cholesterol levels above 223mg/dL was only about 30%. Much has been said about the so-called low-density lipoprotein (LDL) cholesterol or “bad cholesterol” and how it’s much worse for you than the high-density lipoprotein (HDH) cholesterol. The traditional theory says that LDL causes plaque to build up in the cardiovascular system, leading to cardiovascular disease and heart attacks. But the research doesn’t bear this out, either. In fact, research has shown that mortality is inversely linked to both total and LDL cholesterol levels. It is true that LDL can lead to plaque buildup on your artery walls if your diet includes too many bad fats. However, LDL has also been found to bind to dangerous bacterial toxins and protect your body from infections. For instance, the common bacterium Staphylococci produces a very toxic substance called Staphylococcus aureus a-toxin that is deadly for many types of cells in the human body. Even a tiny amount of this toxin added to a test tube of healthy red blood cells will cause hemolysis (bursting) of the cells. But if LDL cholesterol is added to the test tube, hemolysis is almost entirely stopped. The University of Pittsburgh did a study that provides even more evidence for the protective attributes of LDL cholesterol. This study found that in men with LDL levels below 160mg/dL also had a significantly lower white blood cell count than men whose LDL levels were higher. The study used this evidence to conclude that the immune systems in men with lower cholesterol function differently than those in men with higher levels. Another study done by the Division of Epidemiology at the University of Minnesota linked low levels of cholesterol to an increased risk of death due to gastrointestinal and respiratory diseases. This study followed 100,000 healthy people for 15 years, finding that those starting off with low cholesterol levels were much more likely to be admitted to the hospital for an infectious disease compared to those whose cholesterol levels were high at the beginning of the study. The researchers concluded that based on these findings, low cholesterol makes one more vulnerable to infectious diseases. 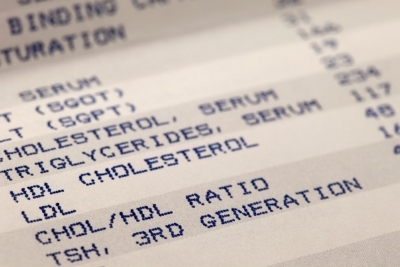 The benefits of higher levels of HDL cholesterol are clear. Most doctors and medical experts will be quick to tell you that higher levels of HDL cholesterol help the adrenal glands, ovaries, and testes synthesize steroid hormones and move cholesterol out of the arteries along to the liver for excretion or reuse. Higher HDL is also useful for protecting against cardiovascular diseases and dementia later in life. But many of the same doctors will quickly prescribe a cholesterol-lowering drug instead of looking at the research done on higher levels of total cholesterol. Another form of cholesterol, VLDL, is sometimes referred to as “very bad cholesterol” because of its tendency to build up on artery walls. But just like LDL, VLDL cholesterol has its role to play. VLDL is especially important in transporting large amounts of triglycerides through the body, which have been proven to rise as part of an immune system response to infection. Triglycerides are also important for reducing endotoxins produced by bacteria found in the gut. These gut bacteria, along with other microorganisms, have been linked to chronic heart failure. The best predictor of death for patients with chronic heart failure was the level of cytokines in the blood, according to a study done by researchers at Martin Luther University in Germany. Cytokines, which are secreted by white blood cells during an immune system response to foreign microorganisms, are especially important in maintaining a healthy immune system. If you know that you have healthy levels of cholesterol, we are certainly not advocating that you try to raise your levels. However, many studies have pointed out the benefits of higher cholesterol levels, so why work so hard to lower them, especially though the use of potentially dangerous drugs? Young and middle-aged men have been warned so many times about the risk factors associated with high cholesterol that we have some to see cholesterol as a cause of coronary heart disease when it just might be one marker associated with the problem. By this logic, higher cholesterol levels could also be seen as a marker of a healthy immune system, due to their association with higher levels of cytokines. The fact is that your body finds many useful things to do with cholesterol. It is a building block for hormones that keep your blood sugar, blood pressure, stress, and balance minerals in check. Cholesterol helps keep progesterone and estrogen in check. If you eat a poor diet that is high in carbohydrates, sugar, and bad fats, your cholesterol is likely to rise. If you are dealing with stress that causes your blood pressure to spike, your cholesterol levels will go up. If your immune system is battling infection, your cholesterol will increase. Why take a beta-blocker to lower your cholesterol instead of dealing with the root causes, like your diet, stress levels, or possible infection? Why eliminate a symptom of a problem instead of the problem itself? In fact, given all of the beneficial properties of cholesterol, why would you want to potentially exacerbate a health problem by lowering your cholesterol and not dealing with the true cause? Before getting a prescription for a quick-fix cholesterol-lowering medication, be sure to get a comprehensive blood test that can reveal the true source of other health problems. Schedule an appointment with us on line or call 773.878.7330 and speak to one of our expert team members today. 1. Your individual health status and any required health care treatments can only be properly addressed by a professional healthcare provider of your choice. Remember: There is no adequate substitution for a personal consultation with your chosen health care provider. Therefore, we encourage you to make your own health care decisions based upon your research and in partnership with a qualified health care professional. 2. The Constitution guarantees you the right to be your own physician and to prescribe for your own health.